It never fails. J and I will make a grocery run. I’ll plan dinner. We’ll get home. I’ll start to cook and realize I didn’t get something I needed. That happened AGAIN today. Since we’ve eaten out the last three meals, we decided to stay in tonight, watch some curling on TV and make pizza. I pulled out the stand mixer to make the dough and realized I didn’t have any yeast. Off to the store again. Usually, I’d just run to Meijer, but no way I was doing that on a Saturday. This is not Meijer bashing. We do most of our grocery shopping there, but going on a weekend is suicide. 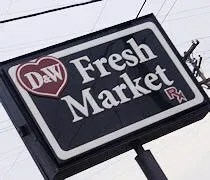 Instead, I headed to D & W Fresh Market on the corner of Parkview Avenue and Oakland Drive. It’s a store we’ve drove by many times, but never stopped at. From the road, it doesn’t look like a very big market. The parking lot makes it feel even smaller. There’s only enough room for two rows of cars and almost all of them were full. I had a very short shopping list, so I grabbed a basket and headed to the baking aisle. Since I was there, I decided to pick up a few pantry items that I had run out of even though I didn’t need them for dinner. I grabbed a jar of yeast, some baking soda, vanilla, and a couple bottles of black peppercorns. At that point, I was done shopping, but I decided to look around. Again, I was surprised by the store. It really has the feel of an upscale grocer. What I really liked was the butcher counter. I love places that actually have people cutting meat. This wasn’t a three-foot case with a few cuts of meat. It was a long case with everything from fresh fish to hamburger. Right near that meat case was a prepared lunch area. Like so many upscale grocery stores nowadays, there were a number of items you could grab for a quick, interesting lunch including fresh made sushi. After a quick run through of the store, I headed to pay. Most people checking out were using reusable bags. Normally, I would too, but I ran out of the house without them again. 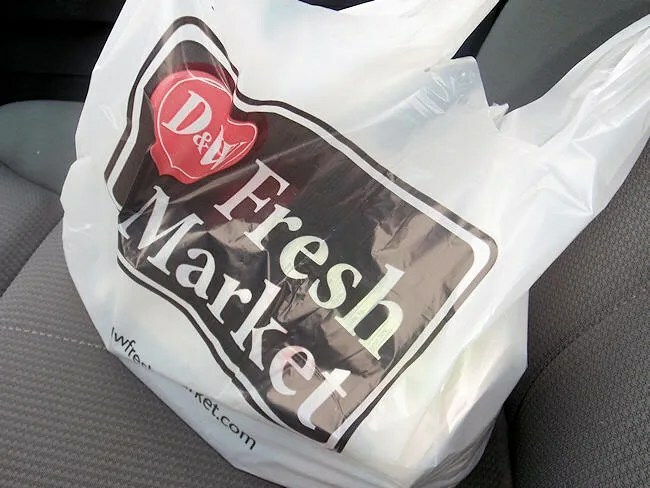 Plus, I always feel weird using a bag from a rival supermarket and since we’ve only shopped at D & W once before, we don’t have one of their bags. What I thought was really cool was the lady in front of me was offered help getting to her car. I haven’t seen this in years. They actually had the tall walking carts that an employee used to help this lady outside. At many hyper-markets, you’re lucky to get a separate bagger. D & W had baggers at every register plus guys helping people outside. Anyway, I paid and got out of there so I could get back to my dinner. 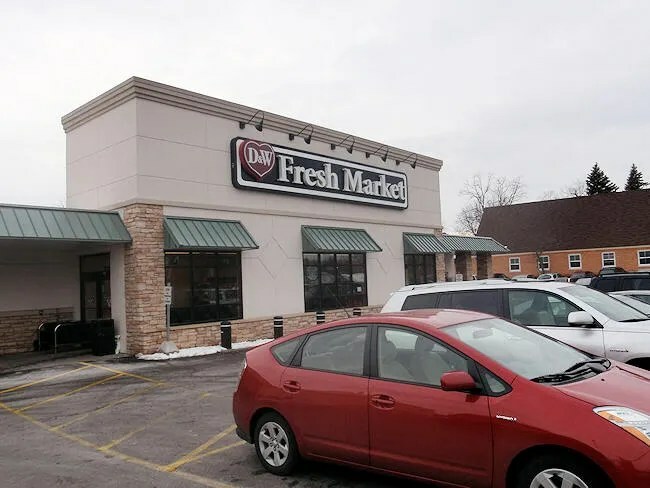 The store is actually much closer to my house than I thought and a little easier to get to than the Harding’s I usually go to when I want to avoid Meijer. I love this D & W!! I’m not a Meijer basher either, but you can actually find someone to help you. I love the olive bar also.